Saba Jaffery is a General Manager of Actuation Regional and Business Jets at UTC Aerospace Systems. UTC Aerospace Systems is one of the world’s largest suppliers of technologically advanced aerospace and defense products. At UTC, they design, manufacture and service systems and components and provide integrated solutions for commercial, regional, business and military aircraft, helicopters and other platforms. They are also a major supplier to international space programs. Her prior roles include assignments in: program management, business development, the formation of a joint venture in China, quality, and operations and factory transfers. In addition to serving on the MEM advisory board, Jaffrey serves on the IEMS advisory board and the boards of Keith Country Day School and the Members Alliance Credit Union in Rockford, Illinois. Jaffrey is also a chair for Rockford Chamber of Commerce’s Lead 360 organization. Jaffrey holds a B.S. 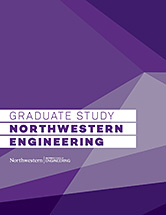 Industrial Engineering and Management Systems and a Master of Engineering Management, both from Northwestern University.